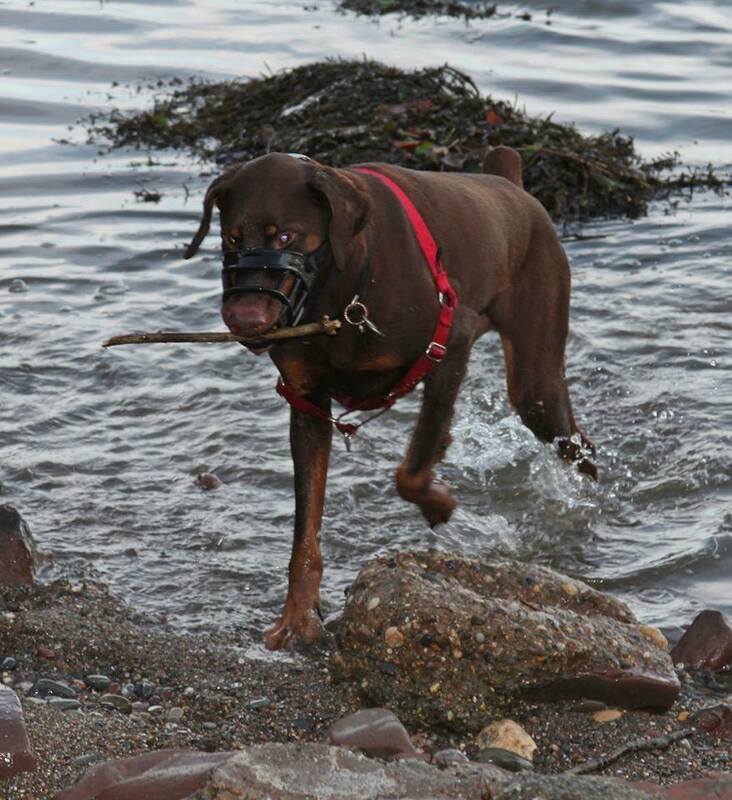 Many dogs have to wear muzzles. Some are required to by law (breed-specific legislation). Some are fearful. Some eat rocks, feces, or garbage on the street. The Muzzle Up! 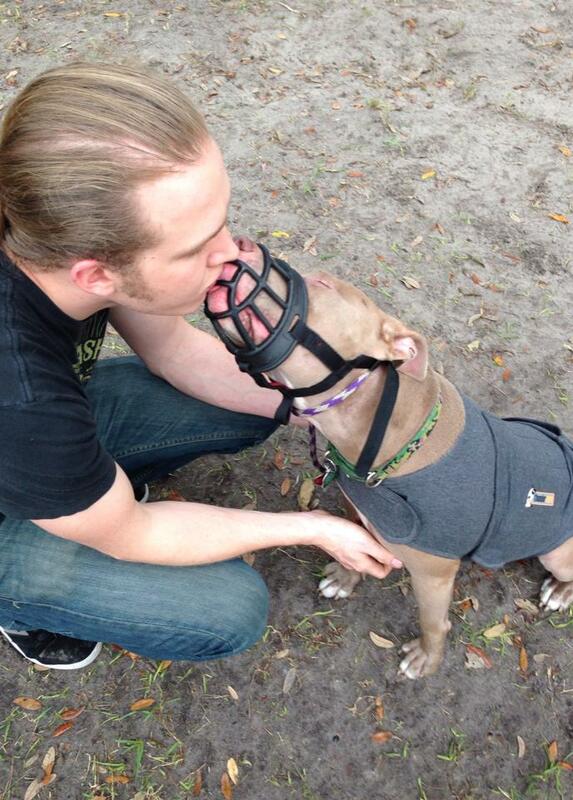 Project strives to erase the social stigma that comes with owning a dog that wears a muzzle. After all, when dogs are trained using positive reinforcement, they come to enjoy their muzzle, because the muzzle predicts good things (food, walks, fun with their humans). 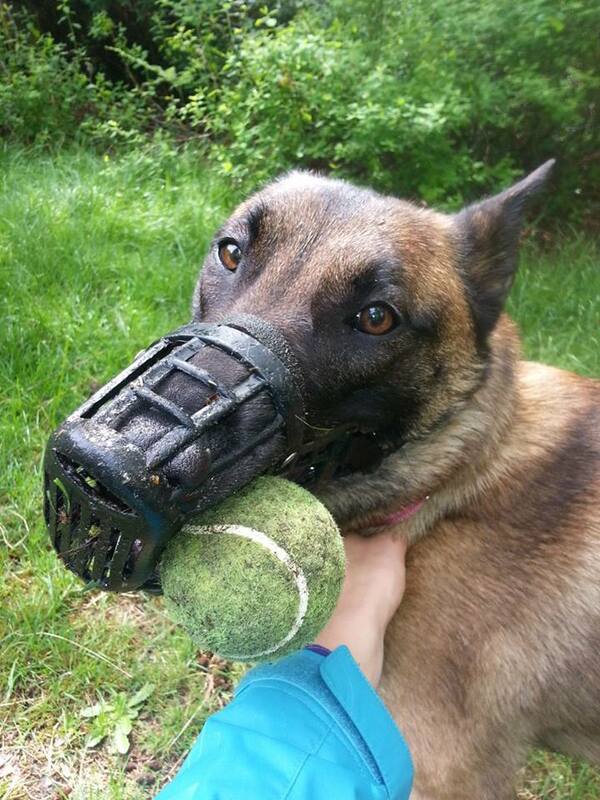 Muzzles also keep fearful and aggressive dogs safe, preventing them from possibly hurting another human or dog, while allowing them to still enjoy being a dog. And, unfortunately, some dog owners have no choice, since breed-specific legislation requires their dogs to wear one. 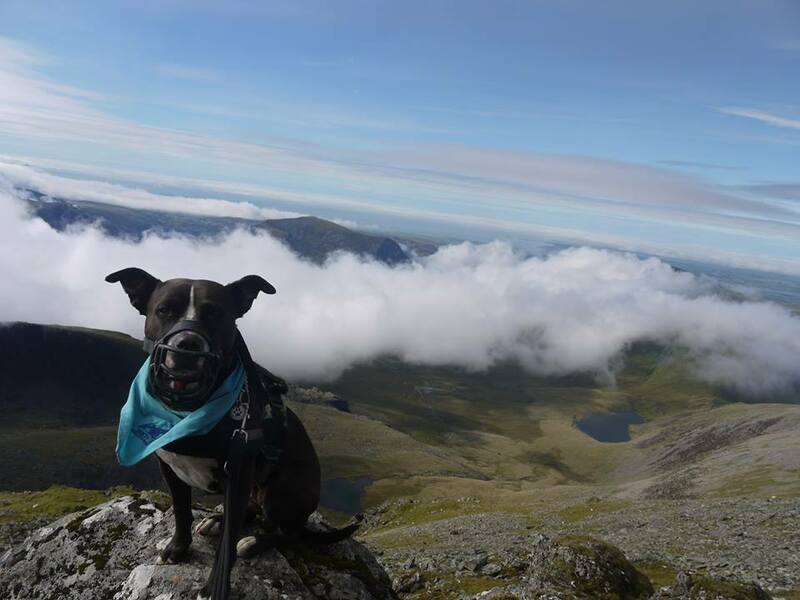 This blog post is a celebration of the humans who are doing it right: Desensitizing and counterconditioning their dogs to muzzles, finding creative ways to have fun with their dogs, and giving their dogs the gift of exercise and adventure. To join the Muzzle Up! movement, visit our Facebook page and spread the word. A huge thank you to all our current supporters! Check back for more muzzle adventures. Thank you for sharing this information publicly and letting dog owners that it is OKAY to muzzle a dog who MAY exhibit behavior that could be harmful to other dogs/persons. 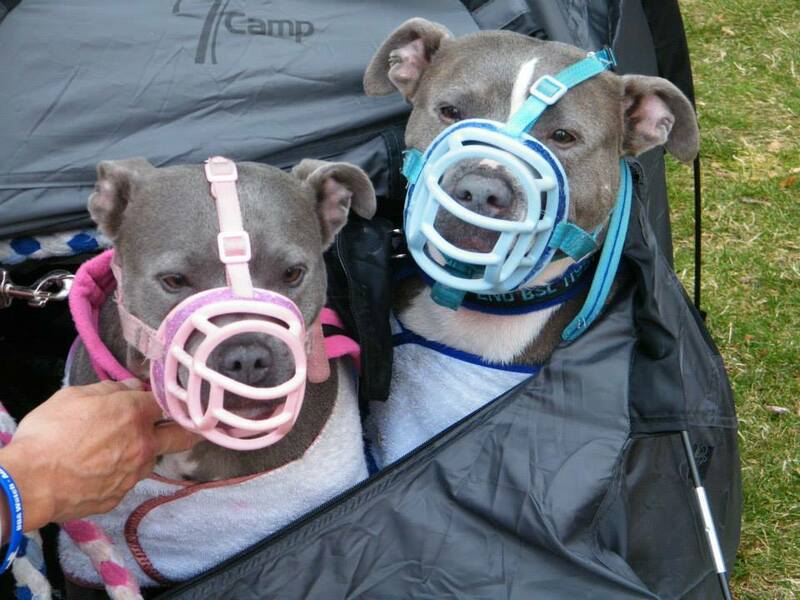 Muzzling is a huge step in bridging the gap between folks on either side of the BSL issue. 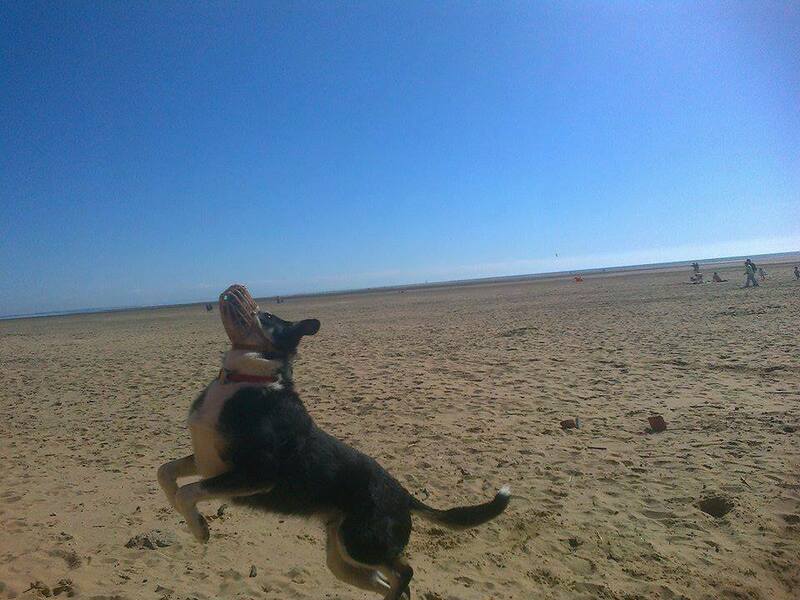 When dogs are trained using positive reinforcement time this following funny issue. I am personally a big fan of muzzles, they can give dog owners peace of mind, and they enable dogs to go out and have fun.